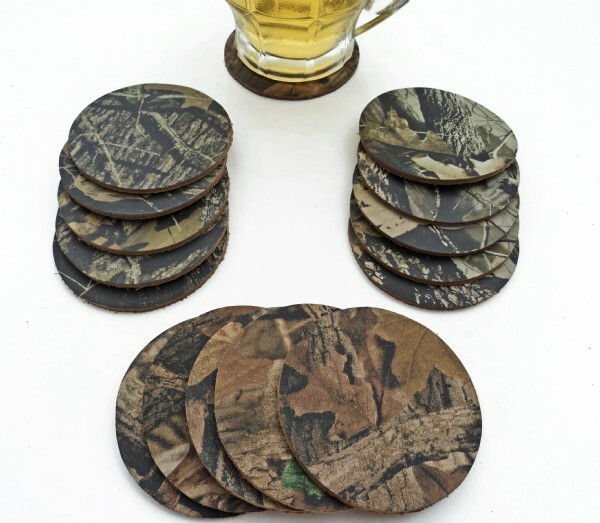 Set of 6 Leather Coasters with Mossy Oak© Break-Up Camo pattern. Each measure 3.75" wide and durable. 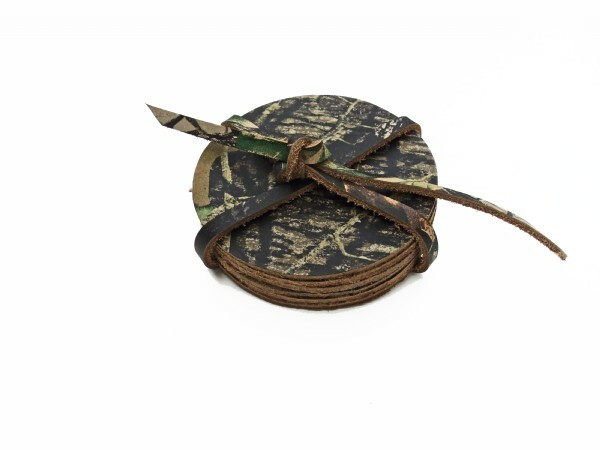 Set is bundled with a genuine camo leather shoe string. Made in the USA.